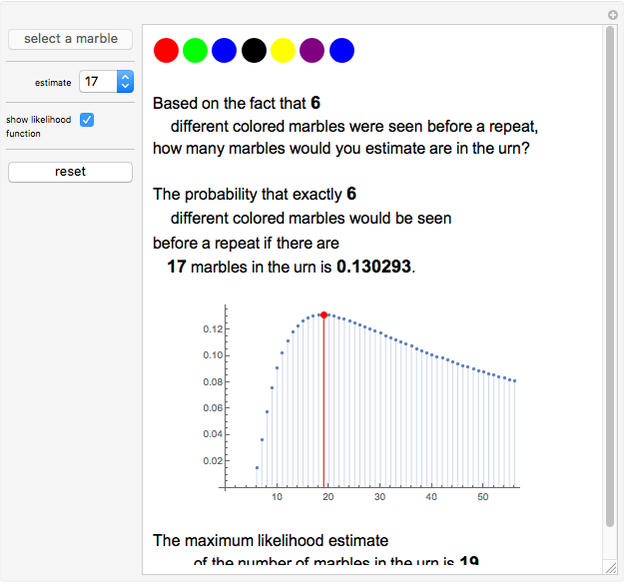 The concept of a maximum likelihood estimate is illustrated using a discrete example. 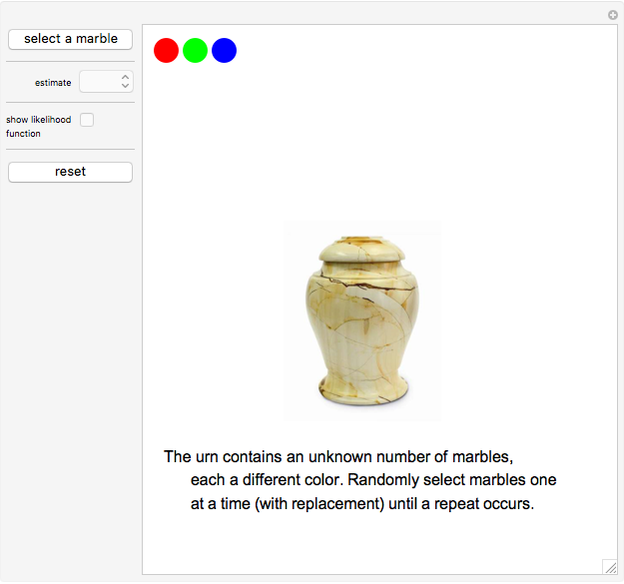 An urn contains different colored marbles. Marbles are selected one at a time at random with replacement until one marble has been selected twice. 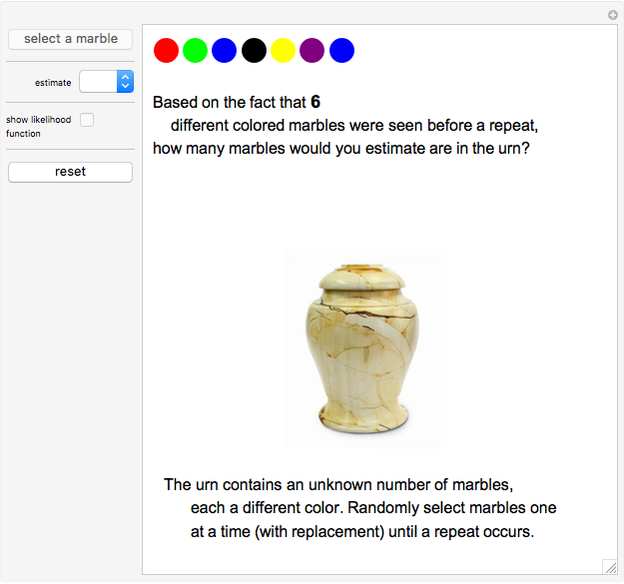 What is the maximum likelihood estimate of the number of marbles in the urn? The number of marbles in the urn is a random integer between 1 and 11. 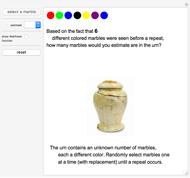 This example was motivated by various websites (including the author's campus website) that show a different picture each time the site is accessed. 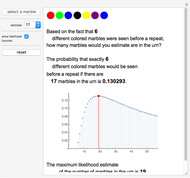 The sequence of maximum likelihood estimates based on the number of different colors observed before a repeat is obtained is A111097 in The On-Line Encyclopedia of Integer Sequences. Marc Brodie (Wheeling Jesuit University) "Maximum Likelihood Estimation"